Moura is the founding Director pro tem of UBC’s new School of Public Policy and Global Affairs and is a Professor in the Sauder School of Business. Moura’s interests lie in rethinking, refining and rebuilding collaborative spaces at the intersections of academia, government, business and civil society. Her teaching and research focus on strategic design, designed leadership and an emerging Policy Studio that helps students and organizations learn to use design processes and tools. She has been Deputy Minister of the B.C. Ministry of Advanced Education, B.C. Commissioner of Pacific Coast Collaborative, Dean of UBC’s Faculty of Land and Food Systems, and Associate VP, Academic Programs at UBC Okanagan. Moura received an honorary doctorate from the University of Guelph in 2004. 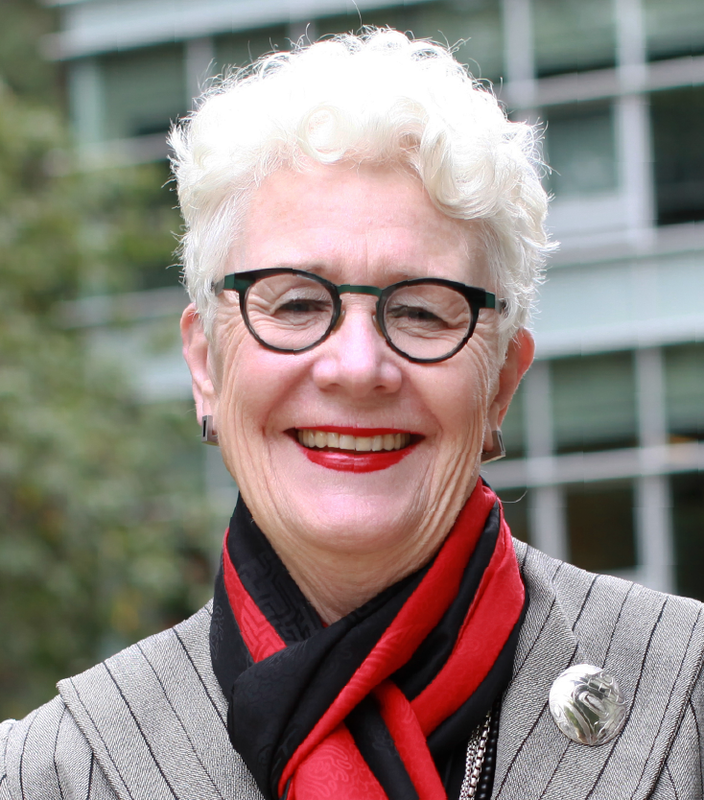 She currently serves as Chair of Genome Canada. Her book, Designed Leadership, was published by Columbia University Press in July 2017. Since arriving at the Liu Institute for Global Issues and then transitioning to the new UBC School of Public Policy and Global Affairs, my scholarly and professional activities have re-focused on leadership and policy design/development. During my upcoming administrative leave I will be starting a Comparative Asia Leadership/Decision-Making Project building on my book, Designed Leadership (Columbia University Press, 2017), which explored the use in business and public policy of the mindset, tools and methods of design in leadership. I want to study leadership traditions that inform complex decision-making from an engaging scan of traditions and current practices in Asia. The product will be a comparative view of business and community leadership through lenses of design, fine arts, and language, for lessons in hybrid ways of working for global co-impact in the digital age. Quayle, M. (2017). Designed Leadership. July 2017. Columbia Business School Press, 226 pages. Quayle, M., B.Weber, M. Bravo, D. Das (2018) Re-Envisioning the ISGP at UBC. Quayle, M. Bravo, M. MacLennan (2017) Research Report. Enhancing KMb@UBC prepared for Helen Burt, VP Research pro tem. Fellow, Council of Educators in Landscape Architecture (North America) (2011). Distinguished Alumna, College of Environmental Design, University of California, Berkeley (2009). Honourary Doctorate (Doctor of Science, Honoris causa), University of Guelph, Ontario (2004). Canadian Society of Landscape Architects Honour Award (National) for Portrait of a Profession (1991). Killam Award for Excellence in Teaching, Faculty of Agricultural Sciences (1990). Distinguished Teaching Award: Council of Educators in Landscape Architecture (North America) (1987). One of Fifty Notable Alumni from University of Guelph Landscape Architecture Program (2015). Y.W.C.A. Women of Distinction, Communication and Public Affairs (1993). American Society of Landscape Architects Merit Award (1993). Canadian Society of Landscape Architects President's Award of Excellence for outstanding service to the Society (1993). Fellow, Canadian Society of Landscape Architects (1990). NOTE: I am not taking any more Ph.D. students.